International Baseball Partners conducted its inaugural player showcases on January 24th and 25th in the Dominican Republic. 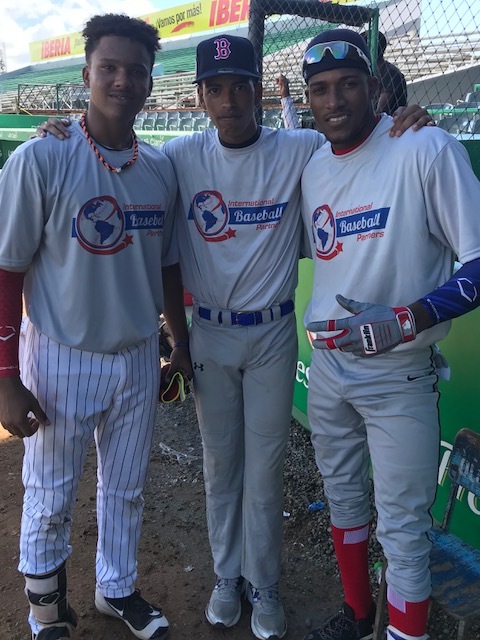 Players from Cuba, Venezuela and the Dominican Republic took part in front of scouts from 29 Major League Baseball teams under blue Caribbean skies. Despite a few wrinkles in form, the showcases proved to be well received and was highlighted by a Cuban contingent led by outfielder Miguel Rafael Pita Bejerano. Pita, a 6’4,195 pound star caught the attention of all in attendance on Thursday with a blazing 6.4, 60 yard dash, and followed with strong, accurate throws from the outfield. But it was his power display that brought everyone to attention with launch angles that drove baseballs one after another over the walls at Estrella Stadium in San Pedro de Macoris. 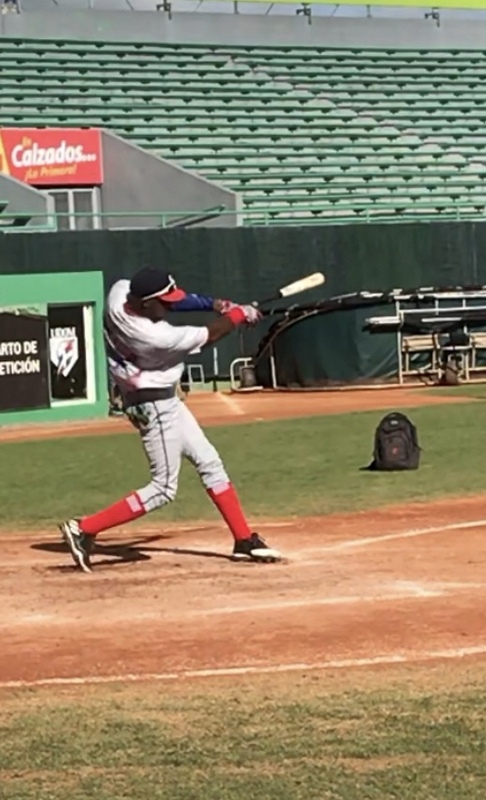 Other Cuban players on hand that scouts evaluated with high marks included left-handed hitting outfielder, Karrell Paz Gutierrez, shortstop Ramon Miguel Mojena Morales, third baseman Ruben Soto Perez and catcher Alain Gonzalez, who recorded an incredible 1.80 pop time to second base from behind home plate. Cuban pitcher Lekiam Gabriel Gomez Beltran, a 6’3 lefty opened the eyes of hitters with fast ball command at 88 mph and hammer curves that had hitters buckling. The July Second Player Showcase followed on Friday, the 25th at “Waz” stadium at UASD University in Santo Domingo. The event witnessed free agents, and those eligible in 2019, 2020, and 2021. Several players including Pita, Paz, and Soto were on board for round two prior to the younger players taking stage. Cuban third baseman, Adriel Sotolongo (free agent) caused a buzz with mammoth home runs over the trees and beyond the parking lot in left field, estimated at 450 feet. 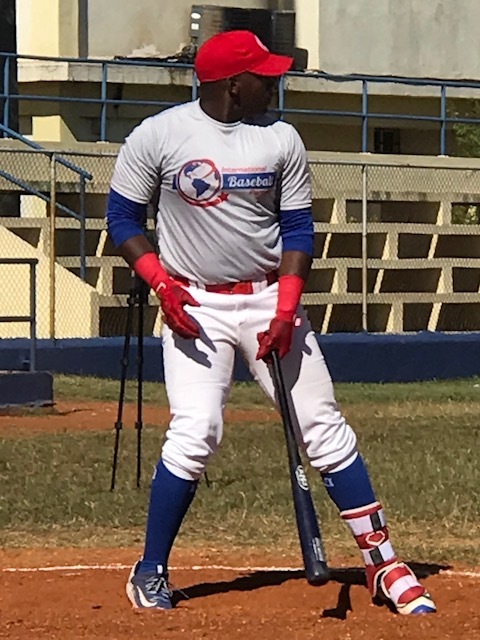 Dominican Republic outfielder, Luis Alexander Baez, a 6’4, 180 pound 15 year old eligible for 2020, led the younger players with an impressive offensive display at the plate. The MLB veteran scout announced plans for a second player showcase event for mid-February with details to follow.